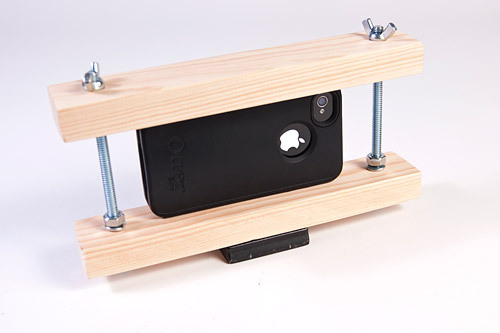 Since the camera on the iPhone 4S is so good, more than one person has thought about mounting the iPhone on a tripod. In fact, some guys did a Kickstarter campaign and got over $137,417 for the idea! And a bunch of other people designed things you could make on your 3D Printer to do the job. 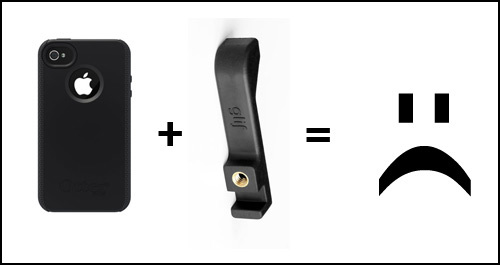 This mount would probably work with almost any phone that uses a rubbery case, since it uses the grip of the rubber to its advantage to stay in place. 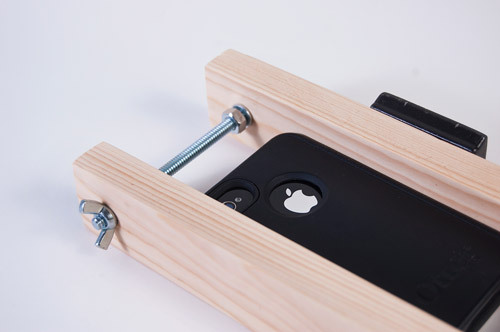 You just gently tighten the wing nuts to hold the phone in place. 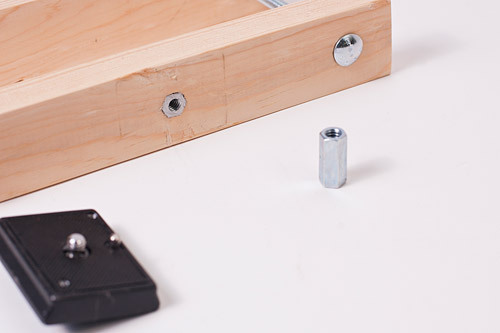 There are nuts under the top piece of wood to prevent you from over-tightening. 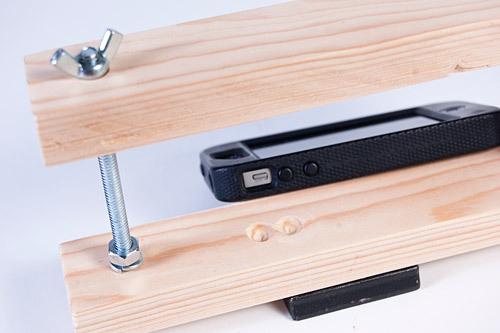 The bottom piece of wood has two small pilot holes to accommodate the two buttons on the side of the iPhone, so the buttons do not get depressed when in the mount. 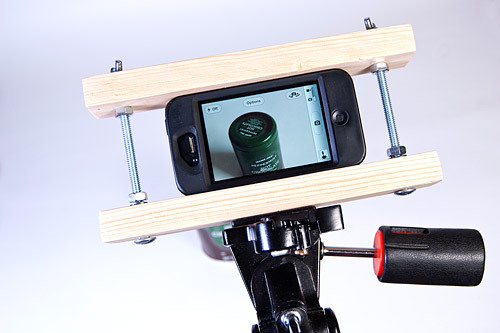 The other tricky thing is how I mount the tripod plate to the bottom. I ended up getting a nut coupler, and then drilling a hole into the bottom piece of wood, and pretty much hammering in the nut coupler. It was too long so I had to hack saw it off to be flush with the bottom. Not pretty, but it does work. Posted on Tuesday, June 12th, 2012 at 9:13 am. Subscribe to the comments feed. Both comments and pings are currently closed. Post on your own blog.